IF THE UNFORTUNATE HAPPENS TO YOU OR A LOVED ONE, PLEASE DO NOT WAIT, CALL AN EXPERT IN CATASTROPHIC WORKERS’ COMPENSATION LAW. Catastrophic workers’ compensation injuries are very complex, as these type of injuries are quite serious and debilitating in nature. 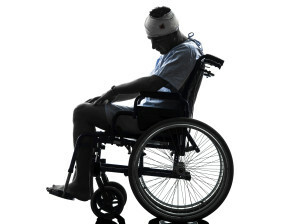 Catastrophic work injuries generally result in a very high level of permanent disability to the injured worker. In most situations, it is a career ending injury. Such injuries are life altering events, not only for the injured worker, but also for their family. These claims require a specialized approach that combines compassion and clinical expertise. In the event of a major, debilitating injury, the ultimate goal should be to help the injured worker achieve optimal functional independence, as well as, ensuring them the best possible “quality of life” moving forward. 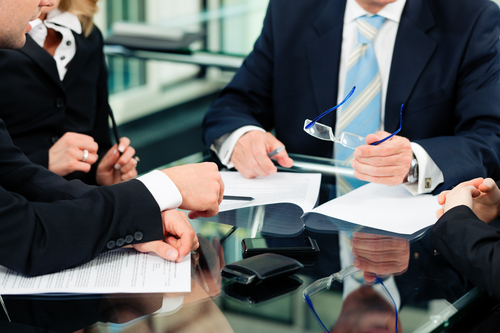 To accomplish these objectives, the early assembly of a catastrophic claims team is quite critical. To provide the injured worker with required care, medical services, and equipment, the team should conduct a comprehensive assessment and provide clinical oversight of the injured worker’s case. The team’s ultimate goal should be to cohesively work towards the best possible results, while continually monitoring the injured worker’s treatment/rehabilitation, and overall status. A strong, clear, and consistent flow of communication with family members, medical providers, and all staff members involved in the claim is vital to it’s success. Catastrophic injuries generally involve multiple body parts, and as such, require the involvement of multiple medical providers and specialists. This can make it very difficult to manage the case. An improperly managed, or uncoordinated claim, could result in the injured worker’s condition deteriorating substantially. Thus, the health of the injured worker could worsen to an alarming degree. To avoid such catastrophic outcomes, the treatment plan must utilize quality clinical expertise by licensed practitioners who are able to provide a centralized management of the case and ensure an optimal result. The treatment plans for catastrophic injuries are typically complex and costly. It requires sophisticated medical care, multiple surgeries, physical therapy, rehabilitation, and psychiatric treatment. Specialized equipment is often used as part of the treatment program, for example, “walkers” or “wheelchairs”. In certain situations the injured worker’s home may need to be modified to fit the new lifestyle of the injured worker. An example might be, the installation of a “wheelchair lift” at home or in the transportation vehicle, or a “ramp” installed to ease the in home mobility. Most catastrophically injured workers are unable to return to a gainful employment, and may never gain full independence again. Under these circumstances, “home care services(1)” become a significant factor in the injured worker’s daily life. In some cases, family members could be used as a provider of home care services to the injured worker. Catastrophic injuries generally result in preventing the injured worker from returning to gainful employment. It is almost indescribable how a single, serious injury could have such a highly destructive financial impact on the injured employee and his/her family. Just imagine the financial stress and impact on a family when the main financial provider has sustained a catastrophic injury and cannot return to work. Even with good medical care, sometimes the injured worker is unable to resume his/her normal life activities. In some cases, the injury is career ending for the employee. If the injury turns out to be career ending, it is absolutely imperative that the injured worker receives compensation to the maximum extent provided by law, in order to minimize the substantial financial impact of the injury on the injured worker’s family. To collaborate efforts and focus on getting the best result for the injured worker. Proactively engage with the medical provider experts to provide any medical services required by the injured worker, such as medical equipment, devices, supplies, home care, and any other specialized services. Work with the medical providers team to identify co-morbidities such as diabetes, heart disease, high blood pressure, poor circulation, and obesity. A persistent wound that will not heal is often an indication of improper nutrition or diabetic condition. Any deviation from the treatment plan. Ongoing monitoring of treatment should be made to ensure the injured worker is following treatment recommendations. Any deviation from the treatment plan needs to be discussed with the medical provider team to find an alternate solution to improve compliance.